On impulse, last weekend Michael and I took off to Calgary for a fix of family, mountains, and nostalgia. Not the most relaxing of our adventures, we found ourselves lost on the southside trying to find Highway 22x from Deerfoot Trail. Once we found it, and breathed a sigh of relief at the familiarity of our favourite route to Kananaskis, we came head-to-head with 1,741 people on bikes in support of the Alberta Cancer Foundation’s Ride to Conquer Cancer. They had a beautiful day to ride, and although I white knuckled that part of the drive because oncoming cars were pushed into our lane, it was worth it for the 7.8 million dollars that were raised to find a cure for cancer. Visions of chilling out and sitting next to the tranquil Forgetmenot Pond at the end of Highway 60 were shattered, first by the impossible task of finding a parking spot, and second by the sheer volume (referring to both the number of people and the sound level) that surrounded our former favourite hideaway spot. Church groups. Family groups. Hiking groups. Groups of children shrieking their heads off. One group of ducks in the middle of the lake looking as pissed off as we were. What happened? Once we settled into our new reality, we managed to fight for a spot on a bench, catch our breath, and take in the transparent blue-green of the pond. We even warmed to the crowds and managed to smile at a few of them. 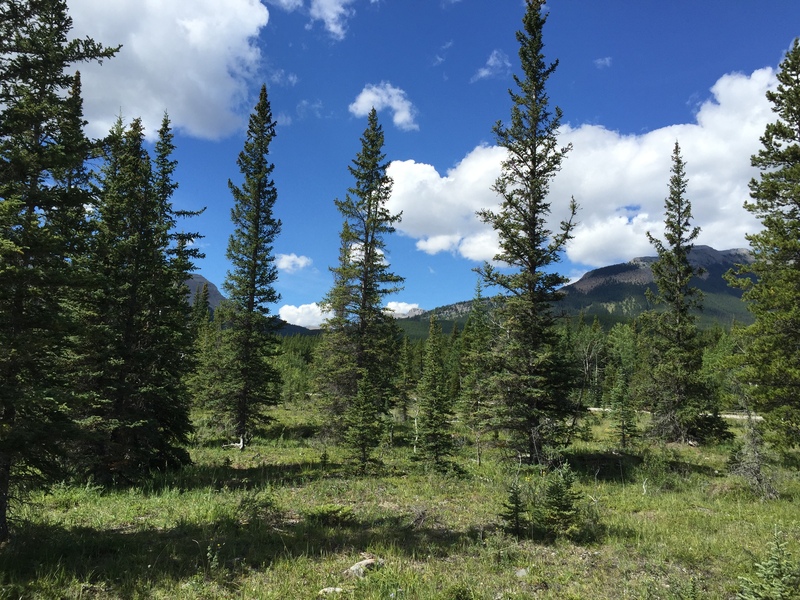 Things got even better when we found our way to the ever shrinking Elbow River and took off our shoes and stepped in to its refreshing coolness. This was a quick trip, so we didn’t come out with our usual picnic accoutrements. We had one bottle of water between us. What made the visit interesting (other than the mountains, the water, the wildflowers, the river, the rocks, the trees) was seeing what everyone had for lunch. Because of the fire ban, there wasn’t the usual roasting of wieners over an open fire, but there was a plethora of portable BBQs, and we saw people enjoying everything from sausages to big pots of noodles. When it was time to head back to Calgary, we opted for Highway 8 west of the City. Thankfully this hasn’t change all that much. However, it was back to white knuckles when on Glenmore Trail had to find our way North on Elbow Drive, which this driver fondly remembers being a simple left-hand turn. Now it’s one of those deals where you have to merge off of Glenmore Trail into people merging on to Glenmore Trail. And there’s a lot of people wanting to do this very same task at the very same time. At speed. I’ll leave out the bits of shouting and expletives, because, really, we got through it in the end. At the calming speed of 50 km/h we meandered north on Elbow Drive to Britannia Plaza where the neighbourhood Starbucks lured us in for a coffee. We noted Browns Socialhouse located where a Petro-Canada once stood, on Elbow Drive and 51st Avenue. It was a warm day, and the East wall of the restaurant opened right up to the sidewalk. It was inviting and looked like a place we’d like to try. After an afternoon with Michael’s Mum, we popped back to Browns Socialhouse for supper. As if we called in advance, a table right along the open window was available for us. We ordered our drinks and looked over the menu, which compares in many ways to Earl’s. Which isn’t a bad thing. 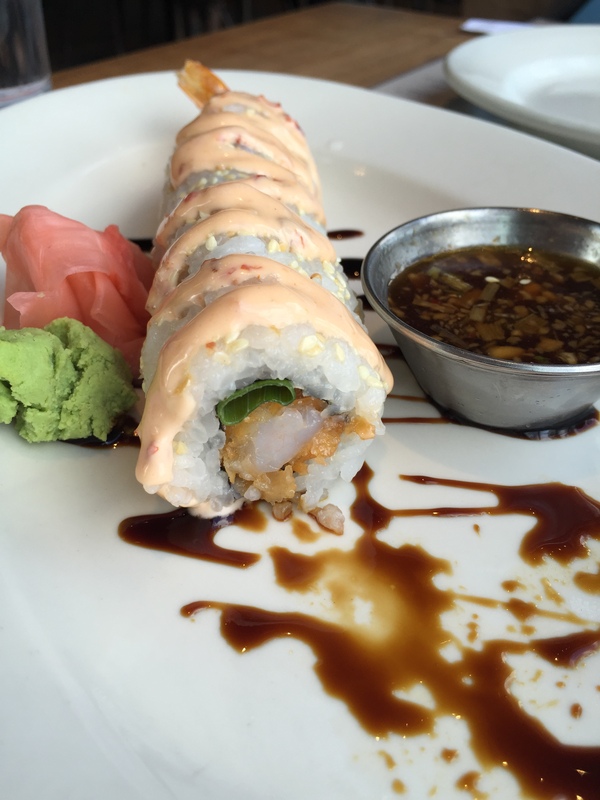 We started with a Dynamite Roll, followed by a Roast Beef French Dip for Michael, and the Lime Pepper Grilled Halibut taco for yours truly. Michael’s beef had it’s tough bits, which is unfortunate. 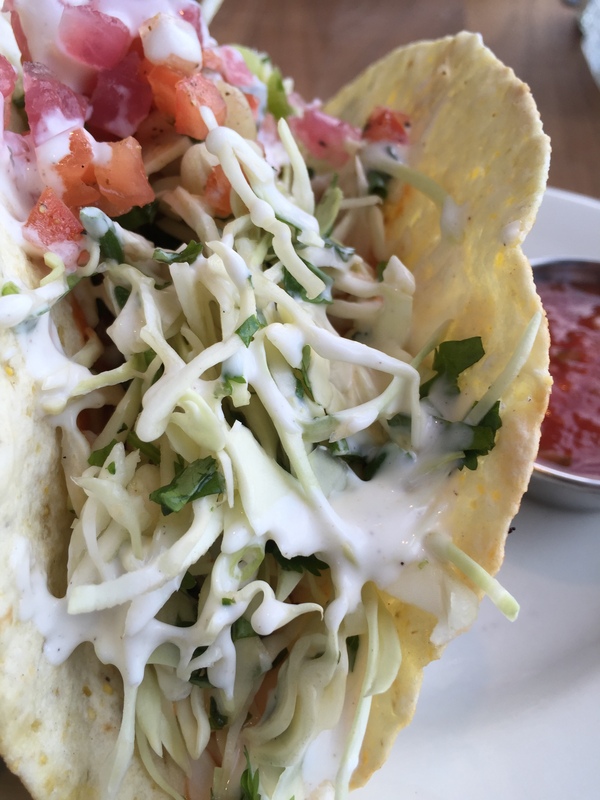 My tacos were super-delicious. I would order them again. Michael would pass on the beef dip. 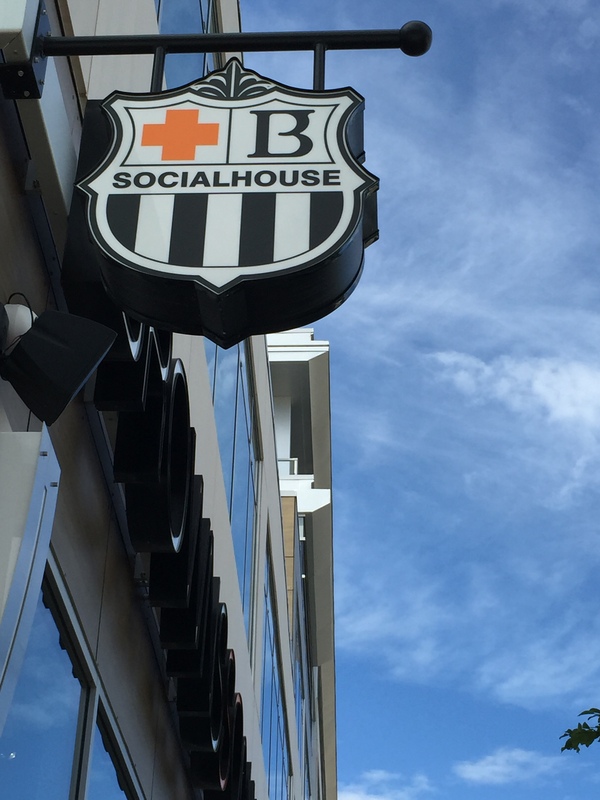 If we were back in Calgary, we would definitely go again to Browns Socialhouse. Edmonton has two locations, one in Windermere and the other on the West Henday, lucky for those of you who live in suburbia, not so great a location for those of us in the centre of the city. After supper, we went for a drive south along Elbow to see if our old high school, Henry Wisewood was still standing (it was). We went further south to make sure the masses that visited our golf club, Canyon Meadows, hadn’t trampled it down to a pulp of green goo after a day of the Shaw Charity Classic. We were also hoping to catch a sighting of Fred Couples, Stephen Ames, or Colin Montgomerie. We didn’t. Perhaps they got tangled up in a merge on Glenmore Trail. After every visit to Calgary, I agonize if we shouldn’t move back. For Michael it’s easy. If the decision was made, he’d be packed and in the car before I could blink an eye. For me, it’s not so simple. My family roots run deep up here in Edmonton. I’ve made some great friends. I have a job I enjoy. Then again, it’s only a three hour drive… we’ll have to see.